Velásquez’s ardent verses are a pledge reiterating her allegiance to la causa and a call to arms demanding that others perpetuate the struggle. A consummate performer, Velásquez has been successful in transferring onto the printed page the drama of reciting poetry on barrio streets. 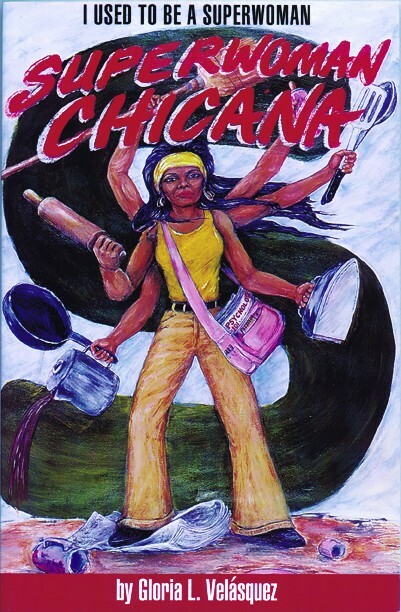 The Chicano Movement is not dead. It lives on, fierce and passionate, in the voice and person of Gloria Velásquez. Challenging our complacency, her resonant cries for justice “refuse to be silent/to be buried in obscurity”. Velásquez has known poverty and discrimination intimately and, like a phoenix from the ashes, she has risen to recognition as an artist, an educator and a leader. But, the poet is as uncompromising with herself as she is with her reader. Refusing to rest on her laurel, her ardent verses are a pledge reiterating her allegiance to la causa and a call to arms demanding that others perpetuate the struggle. A consummate oral performer and speaker, Velásquez has been uniquely successful in transferring onto the printed page the drama of reciting poetry on barrio streets. These pages burn with the fire of action and commitment. GLORIA VELÁSQUEZ is an award-winning writer of poetry and fiction. She is the author of two poetry collections, I Used to Be a Superwoman (1997) and Xicana on the Run (2006), and the Roosevelt High School Series: Tommy Stands Tall (2013), Rudy’s Memory Walk (2009), Tyrone’s Betrayal (2006), Teen Angel (2003), Ankiza (2000), Rina’s Family Secret (1998), Maya’s Divided World (1995), Tommy Stands Alone (1995), and Juanita Fights the School Board (1994), all from Piñata Books. Velásquez is currently a professor in the Modern Languages and Literatures Department at California Polytechnic State University in San Luis Obispo, California.